According to Vickram, the future of the industry lies in the amalgamation of salon, beauty and wellness businesses to offer 360 degree services to the consumers under one roof. Tapping the growth story of the salon, beauty and wellness industry in India, Vickram Sethi, MD, Trade & Technology Expositions. Co (I), in the salon industry is coming up with the new avtar of Salonex after 20 years by bringing experts from industry on board. With this move he is aiming to educate people about the industry, new trends, new ideas, new processes and new technologies among other key things along with betting high on young generation. He thinks that the future of the industry lies in the merger of salon, beauty and wellness businesses to offer 3600 services to the consumers under one roof. Thus, on the sidelines of announcing the launch of Salonex in India in April this year during a press conference, Vickram Sethi spoke to Wellnessindia.com. 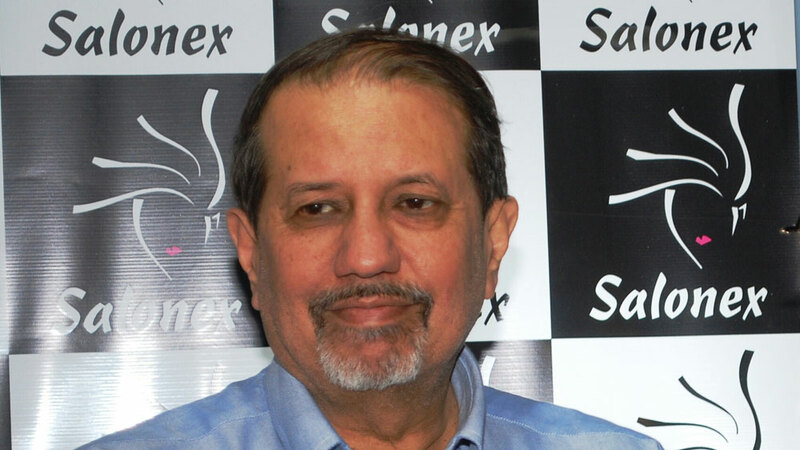 What inspired you to come up with the new avtar of Salonex and what is the aim? We have organised Salonex from 1996 to 2000 and then after that India went back into bit of a recession, so our sponsorship dried-up and we had to stop it. Hence, now we thought to rewind it because salon, beauty and wellness industry are flourishing in India as everybody wants to look good, smart and pretty. If you’ll take your dad for a facial, he’ll be happy to go with you, but 20 years ago he wouldn’t have gone as he think it’s a for more women. But, now that stigma has changed, consciousness has grown, everybody wants to look good which is fuelling the growth of salon business. Mumbai is the trend setter in a certain way, it is the city where everybody knows everything, but in cities like Pune, Karad, Kolhapur, Sangli, Banglore are the places where people want to look good and know more so we want to educate the visitors from these cities. There is actually a big audience group across India. Tell us about the kind of education that you are trying to impart through Salonex? We hope to educate people about the industry, new trends, new ideas, new processes, new technologies among other key things. For this we have experts on board who have been in this Salon business all their life, they have a lot of domain knowledge about what are the new trends, new technologies, new machineries and that is what we hope to get to the people. Today, there are machines that will help you get rid of your skin lines. What will be the profile of the participants? We have a lot of salon owners, salon visitors, there will be around 100 exhibitors. I don’t think that there will be the international exhibitors as because of demonetisation, the world looks at India in a different way. There is a lot of negativity that has appeared in the media about the effect of demonetisation. How do you see the future of salon, beauty and wellness industry in India? The future depends on the beauty business. The change that will happen is that the salon, beauty and the wellness businesses will merge as one feel happy when the salon has all these services offered by qualified people treating your face and skin. Five years down the line the industry will be exponentially growing with many aspirational younger people having more jobs and new ventures and that will give a huge boost to the industry and drive the businesses. There is a huge amount of demand for grooming across all age group and especially with young boys and girls. Young people travel abroad all the time they go for work, vacations and they see the trend there. In India our population is 1.2 bn so 1.2 bn heads needs haircut, facial, eyebrows to be done and facial hair to be trim. We have 60 percent younger population. Compared with women, large number of men also receives grooming services, what is your take on that? It’s not just women, but men also want to look good. Everybody is conscious of looking good and I think that is a good move. Do you think the lack of skill set is what the industry is grappling with? The industry is struggling for skill set. Just now NSDC has started giving importance to this, but I think lot of education gets imparted physically if you work in your salon and that needs to be encouraged. According to you by what at what percentage is the industry growing? It is growing by 50 percent YOY with younger generation coming of age and demanding more beauty services to look good. There is a huge younger class who has higher income, disposable income to spend and these are the factors driving the growth of the industry. Consumer Revivification: An idea to Ponder..